After getting out in the woods quite a bit this year hunting, but not having any good enough shots, Ian Pease, at just 13 years-old, had one day left to get something. He had finally found the buck he wanted. 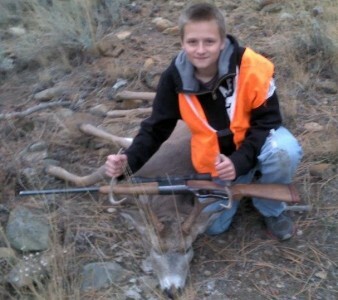 He was doing everything he could to not let his nerves get the best of him, as this was his first deer, but he concentrated enough to take a shot, and he got him! 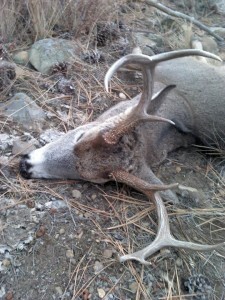 Ian got this nice 4×4 whitetail just outside of Stevensville. Not only did he end up helping to fill his family’s freezer, but he also got an awesome souvenir from his first successful deer hunt. Fantastic job, Ian!